Review | Car makers were puzzled. When the first SUVs where brought to the market they sold better than the makers ever dared to imagine. The public really went for these luxury off-road vehicles. Did everyone live at the end of a dirt road all of a sudden? Did people anticipate a new ice age? Only after years the research the mystery of the SUV was solved. And if one car maker understands the secret, it is Volvo. The latest proof of that is the XC60. It seems perfectly illogical. Why would anyone use an off-road vehicle for the daily commute when that road is paved? Of course some people want to drive a special car, but an SUV for daily use is as illogical as using a concrete truck or crane for a private car. The answer was only found after years of research. 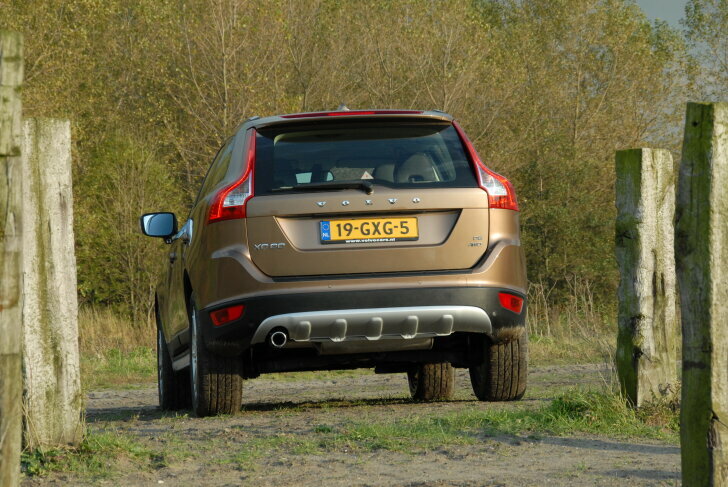 It shows that buyers don't care about the off-road capacities of an SUV at all. A civilised all terrain vehicle is bought for the tough exterior and the thrill of driving a mighty machine. The Volvo XC60 fulfills those wishes. The XC60 is large and butch looking, but isn't so large that it becomes unpractical or objectionable. In the city the XC60 is easy to handle and even parking is no problem. At the same time the XC60 offers plenty of space, both in the front and the rear. Even the boot is large. Because the driver sits high up, he/she has an excellent view over traffic and of course that much sought after feeling of controlling a mighty vehicle. While SUV-buyers want a car that looks tough, that same car should be luxurious and refined like a five star hotel on the inside. Yet again Volvo has understood this message like no other. The interior of the XC60 is pleasing to the eye and gives the same privileged feeling as a night in a luxurious hotel. Instead of the usual black leather and shiny oak wood, Volvo choose light tints. The test car is executed in white leather, while the centre console is made of unprocessed wood. Regretably the leather is very slippery: in every corner the driver slides left and right in the wide front seat. The equipment level leaves little to be desired. Everything that can be powered or electrically adjusted is. Everything that may be expected from a car with this price tag, is there. Even the stock audio system sounds very good; better even than many expensive and optional "premium" audio systems from other brands! Thanks to the beautiful design and immaculate finish this is a great place to be, even without a destination! Our compliments to the Volvo designers! An SUV is also bought for its safety. However, many SUVs feel safe, but in fact aren't safe at all. A large car is not necessarily a safe car. Compare it to this: is a large cardboard box stronger than a small one? Made out of the same cardboard, the smaller one is certainly stronger. Therefore Volvo did everything possible to make this large car also a strong car. The crumple zones have been designed in such a way that the XC60 doesn't drive over a smaller car in case of an accident. Next to this Volvo supplies an unparalleled amount of electronics to prevent accidents. In the centre console a true arsenal of buttons can be found to activate cameras, lasers and radar beams on every side of the car. Under each side mirror, a camera is mounted. When another vehicle is in the blind spot, a warning light on the mirror comes on to warn the driver. A radar on the front of the car makes the XC60 automatically maintain a safe gap when using the cruise-control. When the driver controls the throttle manually, the radar is used to indicate a safe distance to the car in front (the margin can be adjusted to make sure the system doesn't panic in busy traffic). When coming too close to another car, a red light on top of the dash lights up. By reflecting in the windscreen the warning appears right in the middle of the driver's face. When the driver still doesn't decelerate, the light will blink and an alarm sounds. If an accident seems unavoidable, the car will brake shortly. However the XC60 doesn't come to a complete stop, the damage is only reduced. 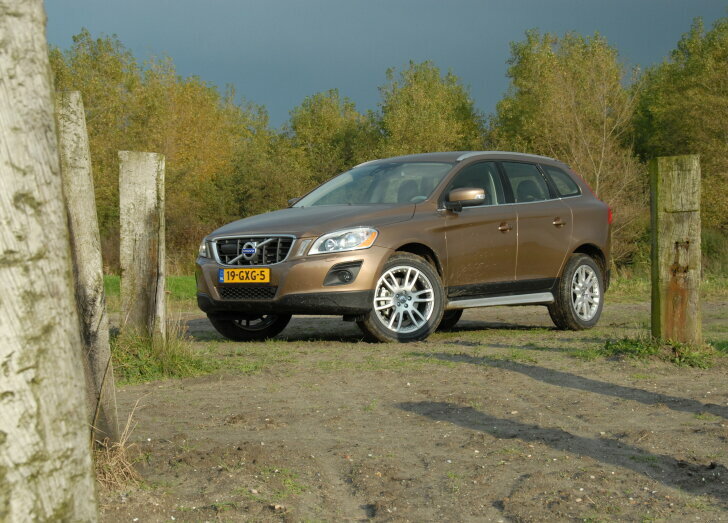 At speeds up to about 20 km/h the XC60 does brake fully automatically for obstacles. This way the XC60 can avoid accidents in traffic jams. In real life the system does work fine, but there is a catch. "City Safety" only works when the driver doesn't actively participate. In other words: the speed should be constant. After braking automatically, the car will be stopped for one full second. After that the computer releases the brakes. Those who didn't recover from the initial scare, will hit the car in front after all. 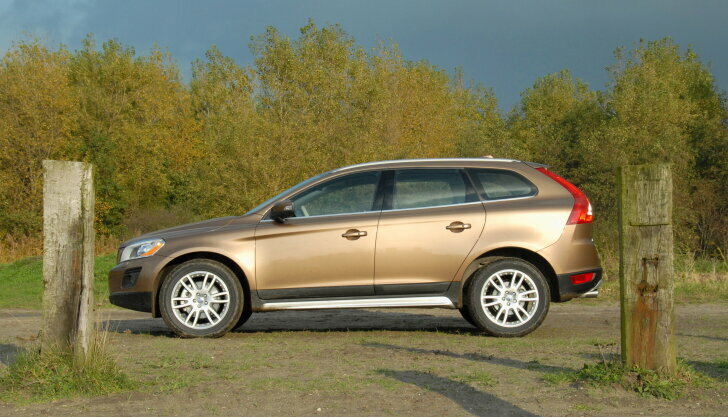 Finally, the laser only works on reflective surfaces; therefore the XC60 doesn't brake for bicycles or pedestrians. The ride isn't as exciting or innovative as the rest of the car. Volvo emphasis on comfort and -yet again- safety. Considering the size of the car handling is fine. The XC60 isn't very sharp to drive, but it does behave predictable at the limits. The test car is fitted with a D5 diesel engine; the strongest one on the price list. This remarkably silent five cylinder delivers 184 hp / 400 Nm. Even at low revs the power unit is very strong, but it's never frisky or eager. 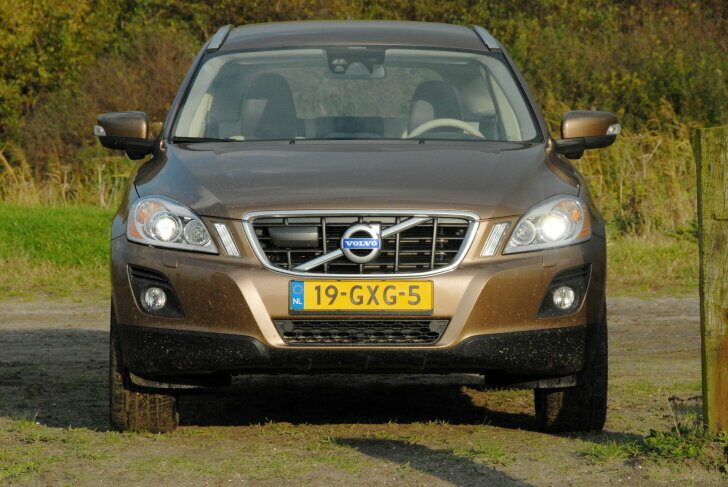 Only at full throttle this most powerful XC60 is willing to perform. 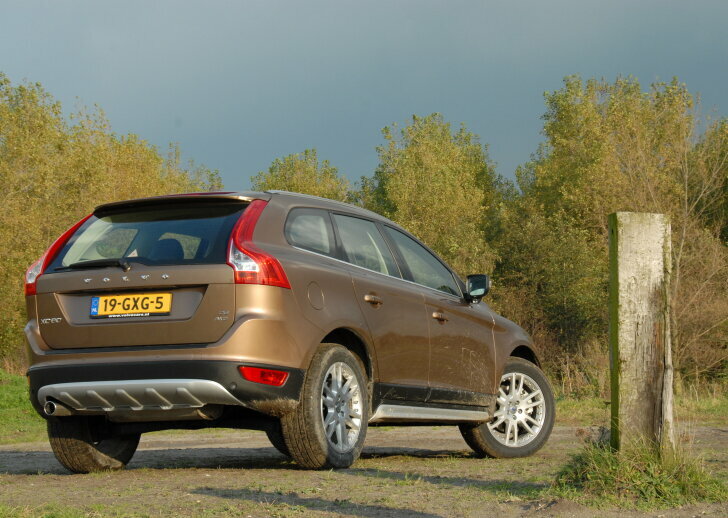 Despite four wheel drive, this XC60 isn't meant as an off-road vehicle. When going off-road the profile of the stock tyres fills alarmingly quick with mud, reducing grip immediately. The four wheel drive system only makes sure the available power can be fully utilized under all circumstances; just like the SUV buyer wants it to. After many years the motor industry finally solved the mystery: SUV-buyers want a large, spacious car that gives them a safe and powerful feeling. While the outside should look rugged, the interior should be sumptuous and luxurious. The XC60 looks tough, but is not offensive. Inside the XC60 offers a fine piece of Scandinavian design. On top of this Volvo offers all the usual luxury, including a top quality good audio system. The ride quality is the least remarkable feature of the car. Emphasis is on safety and comfort. Thanks to innovative systems accidents are being prevented whenever possible. The D5 diesel engine performs very well. Fuel consumption is fair compared to the performance and size of the car. This all makes the XC60 a show case for modern SUVs. Like no other Volvo understands what people want in an SUV, making the XC60 a logical choice.